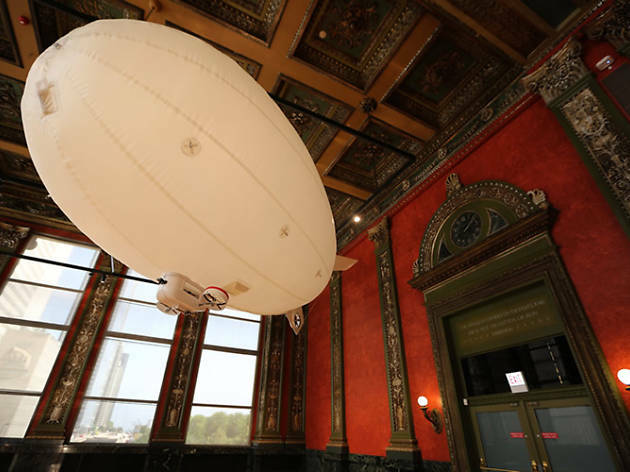 "Paul Catanese: Visible From Space"
After experimenting with camera-equipped kites, drones and rockets, interdisciplinary artist Paul Catanese became obsessed with the creation of Earthly drawings that could be seen from the moon. Without a lunar module to launch toward our orbiting satellite, Catanese decided to simulate these large-scale drawings with his latest solo exhibition, "Visible From Space." 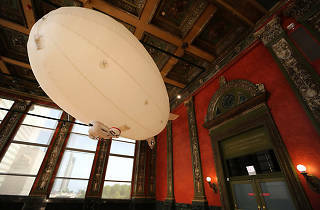 Using various props and media, Catanese will create large drawings on the floor of the Chicago Cultural Center and then use a 12-foot helium-filled blimp to capture footage from above. Stop by to see the artist at work, creating and then filming his latest additions to the Earth-bound tapestry.